Children Are Harvesting Your Food. Are They Safe? Hundreds of thousands of U.S. children work in agriculture every year, thousands get hurt, and many die. New legislation could make a dent. The next time you sit down to eat, consider the fact that children may have harvested or helped produce the food on your plate. In fact, hundreds of thousands of children under the age of 16 work on U.S. farms every year. In 2012, it was nearly 260,000, a number some experts believe to be an undercount. “There’s this agrarian idyllic picture of blue skies and red barns, and how wholesome it is for children to learn about food production,” says Norma Flores, director of the Association of Farmworker Opportunity Programs’ Children in the Fields Campaign. Children and young teens can be found working on farms all across the country: picking berries, harvesting onions, working in cornfields, grain silos, operating vehicles and working in packing houses. Over the past five years, farms and farm labor companies operating from coast to coast—and in Hawaii—have been cited for child labor violations, some involving children young as five and six. One such company was supplying berries to major retailers including Kroeger, Meijer, and Walmart. Data compiled by the National Institute for Occupational Safety and Health (NIOSH) and the National Children’s Center for Rural and Agricultural Health and Safety show that in 2012—the most recent year for such information—approximately 38 children were injured in agricultural incidents every day, many involving machinery, vehicles, animals, and falls. Even worse, a child died in such an incident every three days. 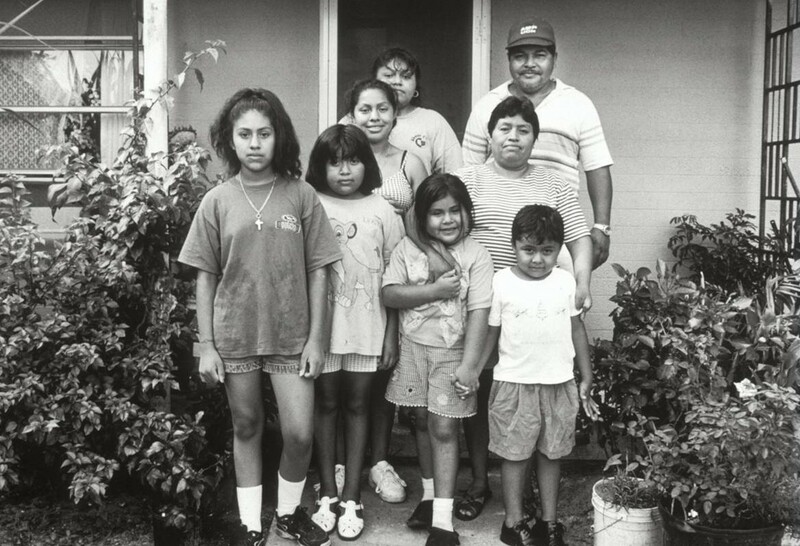 Underage farmworkers are exposed to pesticides, extreme heat, long hours of harsh sun, and heavy loads. Many work without adequate access to drinking water, hand-washing facilities, or toilets. They suffer from cuts, burns, and rashes, as well as eye and musculoskeletal injuries. Right now, under U.S. law, all of this is legal. But legislation currently in Congress might begin to address one sliver of the problem. The bills in question would prevent children under the age of 18 from working on tobacco farms, where children face some of the most hazardous conditions. As documented by Human Rights Watch (HRW), children as young as 11 and 12 working on U.S. tobacco farms have come down with acute nicotine poisoning after handling tobacco plants and absorbing the chemical directly through their skin (often as much nicotine as one would get smoking 36 cigarettes a day). They also often get hurt using sharp tools, heavy equipment and machinery, and are exposed to neurotoxic pesticides. HRW and Wake Forest University researchers have also found that few children doing such work—on tobacco and other farms—had any safety training or used any protective equipment. Current law allows children as young as 12 to work on farms owned or operated by their parents or someone standing in for a parent and children of any age to work on small farms, with parental consent. And while children under 16 are prohibited from doing many explicitly hazardous jobs, other potentially dangerous work is fair game. And NIOSH regularly reports on horrific and fatal injuries that occur while children under 10 are doing farm work. “A lot of children aren’t necessarily on payroll,” says Flores. And many may be younger than they say. “If you go up to kids, they’ll tell you they’re 12 or 15,” she adds. “Most parents and the kids themselves don’t want to be identified,” says Virginia Ruiz, Farmworker Justice Director of Occupational and Environmental Health. All of which means there are more children working—and getting hurt—than official statistics account for. There’s no denying that these are serious issues. In 2011, the U.S. Department of Labor proposed wide-scale regulations to increase protections for children working in agriculture. The rules would also have kept children under 16 from working on tobacco farms. But the proposal was withdrawn a year later after pressure from farm organizations, including the American Farm Bureau and legislators who said they feared the rules, would have kept farm family children from helping out with chores, despite the fact that it only applied to paid farmworkers. And even though then-Secretary of Labor Hilda Solis called children employed in agriculture “some of the most vulnerable workers in America,” the Obama administration said it would not attempt to reintroduce any similar protections for the duration of the administration. This information has filled an important gap left by the Departments of Agriculture and Labor that generally only collect occupational information for workers age 16 and older. And while some Bureau of Labor Statistics information is available for 15-year-olds, no government agency formally collects data on younger children. Much of the information that exists comes from these NIOSH surveys. Once they end, government numbers on children working and getting hurt in agriculture could disappear. So what does this all have to do with food? “It’s a big problem and will take a lot of people making this a priority” for things to change, says Flores. NIOSH is accepting public comments on its proposal to stop its agricultural injury data collection until May 27th. 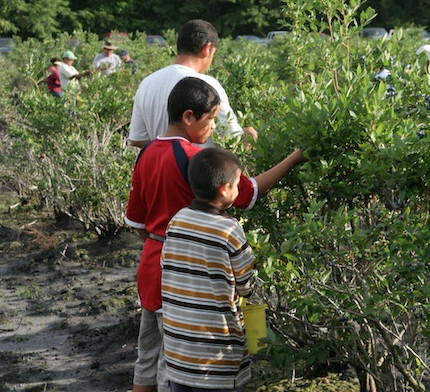 Photos, from top: Children work alongside their parents to harvest blueberries, courtesy of Toxic Free North Carolina; a farmworker family, photo by Crealdé School of Art courtesy of Farmworker Association of Florida. Thanks Lizzy. It's important to note that NIOSH/National Children's Center data you cite is for all kids on farms, not just those working. In fact only about 20% of those injuries and deaths were children who were working. To address this issue we must also look for more support of programs to keep children safe while their parents work. The National Children's Center and Migrant Clinicians Network are currently partnering to foster best practices to keep children safe. This includes looking at the important efforts of Migrant Head Start.